Rob Zielinkski owns Hornby Diving and volunteers with Project Watershed, the Nile Creek Enhancement Society and SFU to research kelp through the Project. 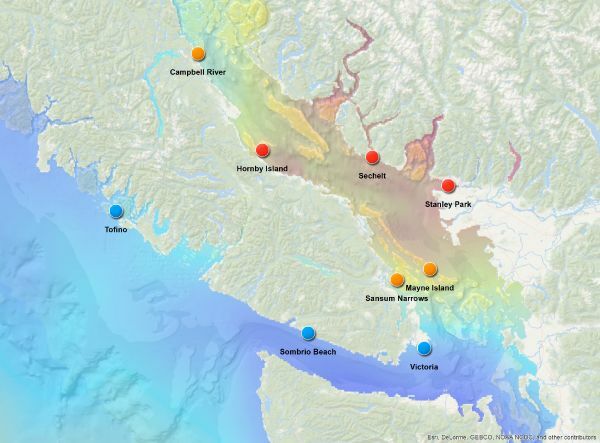 In 2016, the Salish Sea Marine Survival Project partnered with 30 different partners to undergo 33 different research and restoration projects in the Strait of Georgia. Canadian research efforts are being lead by the Pacific Salmon Foundation in partnership with Long Live the Kings in Seattle. It's the first comprehensive look at all factors in the ecosystem that could be causing salmon declines - from salmon farms, to seal predation, to loss of habitat, to climate change and more. 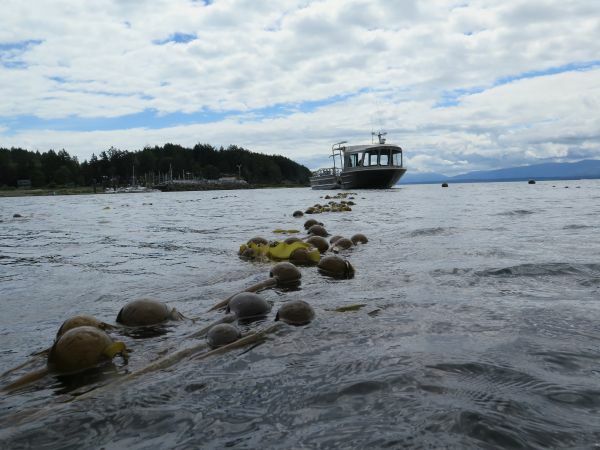 One project partnered with community volunteers and SFU to research kelp habitat. "Some areas of California have lost up to 93% of kelp habitat to abnormally warm water temperatures"
The Project: Kelp forests are a key component of the salmon highway – the interlocking succession of habitat salmon use on their journey to the ocean. Kelp provide refuge from predators and support the small ocean critters that salmon feed on. 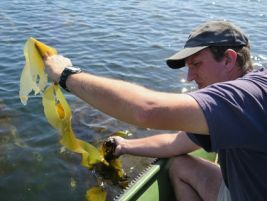 Anecdotal evidence from communities (particularly fishermen) notes startling losses in kelp habitat throughout the central Strait of Georgia. That's why retired fisheries biologist Dr. Bill Heath decided to get involved with kelp research and restoration with the Nile Creek Enhancement Society (nilecreek.org) and Project Watershed Society (projectwatershed.ca). "My daughter and son-in-law own Hornby Island Diving and were already volunteering for Nile Creek as divers. Amanda and Rob thought it would be a good way to keep me busy during retirement," said Heath with a chuckle. When you donate to psf.ca by December 31st, your donation will be matched and you will be entered to win a fishing package donated by PEETZ Outdoors or beer fridge stocked with Postmark Brewing PSF Lager. Lessons Learned: "Some areas of California have lost up to 93% of kelp habitat to abnormally warm water temperatures," said Braeden Schiltroth, a Masters student at Simon Fraser University (SFU).Fortunately, a SFU research team participating in the Salish Sea Marine Survival Project comprised of Schiltroth and Dr. Sherryl Bisgrove, have discovered populations of kelp that may have adapted better to warming waters. The field research has also found that sea urchins that feed on kelp could be a big contributor to kelp loss. Next steps will include experimenting with kelp sourced from different areas to find populations best suited for restoring kelp beds during climate change.